Schools should be safe places for all students who walk their halls. Unfortunately, lesbian, gay, transgender, bisexual and queer students are too often subjected to harassment, bullying, intimidation, and violence—without clear recourse if their schools do not respond appropriately. Congress can and should act now to protect these students from discrimination in schools throughout the country. 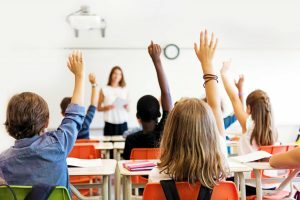 In March, congressional champions of equality reintroduced the Student Non-Discrimination Act, which would explicitly prohibit K-12 public schools from discriminating against students based on actual or perceived sexual orientation or gender identity. It would also provide victims of discrimination with meaningful remedies, modeled after Title IX. Call your Member of Congress at (202) 224-3121 today and ask them to stand with students and support the Student Non-Discrimination Act. This legislation would ensure schools understand their legal duties to their students, and help students and families understand their legal protections. This kind of protection is more important now than ever, especially after recent announcements from Education Secretary Betsy DeVos and the Department of Education’s Office of Civil Rights that they will not pursue discrimination complaints by transgender students barred from using bathrooms that match their gender identity. The Student Non-Discrimination Act was introduced by Sen. Tammy Baldwin, D-Wis., and Reps. Jared Polis, D-Colo., Ileana Ros-Lehtinen, R-Fla., Mark Takano, D-Calif., and Bobby Scott, D-Va. If your representatives are not on this list, give them a call today to say: I’m your constituent and I care about protecting all students. Support the Student Non-Discrimination Act.